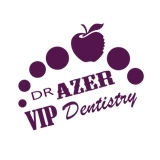 Dr. Azer VIP Dentistry (Newport Beach) - Book Appointment Online! Dr. Azer is the winner of the 2015 Patients choice award, and specializes in Cosmetic and Family Dentistry. Dr. Azer’s expertise in Occlusal Disease and Bite Correction has awarded her as one of the top 2014, 2015, and 2016 Invisalign Preferred Providers. Her approach with treating patients is compassionate, sincere, honest and extremely qualified. She stands behind her work 100% and provides a World Class Smile in a Zen type of environment. She practices at the highest forefront of Dentistry by continually pursuing advanced education and training in all aspects of Dentistry. We understand how uneasy some patients can feel about their dental visits, and we know that we can make a difference by providing a relaxing and positive experience. Our entire team is dedicated to providing you with excellent, personalized care and service each and every visit. They've been taking pretty good care of me here. I have a lot of work that needs to be done and this has been a very comfortable place so far.